1992, Bari, Southern Italy, summer-time. Marshal Pietro Fenoglio sits in his favourite cafe so engrossed in the local newspaper editor’s advice to the police on handling a Mafia flare-up that he doesn’t immediately notice the young man trying to rob the cashier. When he does – he quickly overcomes the would-be robber and pins him to the floor. The cafe unfreezes and the carabinieri are called. Two men walk in and demand Fenoglio hands over the thief. They are not carabinieri. They say they will teach the thief a lesson. Fenoglio promises the men a lengthy stay at the police station if they don’t clear off – which they do. Then he pays for his breakfast pastry despite the owner’s objections and accompanies the young robber to the police station. Frankly, Fenoglio is tempted to let him go. He likes him, believes that this was, as he says, his first robbery attempt. But there are rules. He tells the young man to plea bargain and in all likelihood he will get a suspended sentence. The arrestee is grateful, telling Fenoglio that if he ever needs help he will find him hanging out near the Petruzzelli theatre. The mention of the theatre sours Fenoglio. It had been one of the things he had liked about Bari: concerts, an opera. But someone torched the theatre a few months ago. Now it’s just a burnt-out shell. Captain Valente, new boss, fresh from Rome, summons Fenoglio to his office and asks him to bring him up to speed on the local mafia fight. Fenoglio obliges. A few weeks ago Shorty, a member of local crime boss Grimaldi's gang, was murdered. Since then several high profile Grimaldi gang members have disappeared or been killed. Valente assumes it’s a rival gang but Fenoglio points out that no-one outside the group has been killed. This looks more like battles within the gang itself. Over a solitary lunch in a local trattoria, Fenoglio thinks about his current equally solitary life; his recent separation from Serena. The cause? His obsession with work perhaps but truly he thinks it’s because he can’t have children. Fenoglio knows that he has never been any good at showing his feelings. He feels them, but... Would Serena have a child with someone else? Could he stand that? Celebrated Italian crime writer, anti-Mafia prosecutor and one-time senator, Gianrico Carofiglio, embarks on a new series with THE COLD SUMMER (translated here by experienced Carofiglio translator Howard Curtis). It introduces Marshal Pietro Fenoglio of the Bari Carabinieri: solitary, thoughtful, reserved, a Northerner from Turin, carabiniere for twenty years and a man of principle. Events revolve around the tragic death of a kidnapped child and are set against the back-drop of real-life events – the Mafia assassinations of two high-profile anti-Mafia judges in 1992. In some parts the writing blends the action of police procedural with the cool reportage of legal deposition. This last might sound tedious but the formal language of the deposition serves to both collapse time and to filter the savagery of the violent crime. And Carofiglio's description of the structure and ritual of the “Societa Nostra” is engrossing and absorbing; simultaneously grandiose and elaborate, they function to confirm a gang member’s loyalty and even the subservience of locals to the rule and composition of the “Family” – perhaps an ornate mirror of modern day urban gang culture. The characters are closely observed: Fenoglio’s complex, reticent personality offset by the almost brutal character of his colleague Pellecchia. 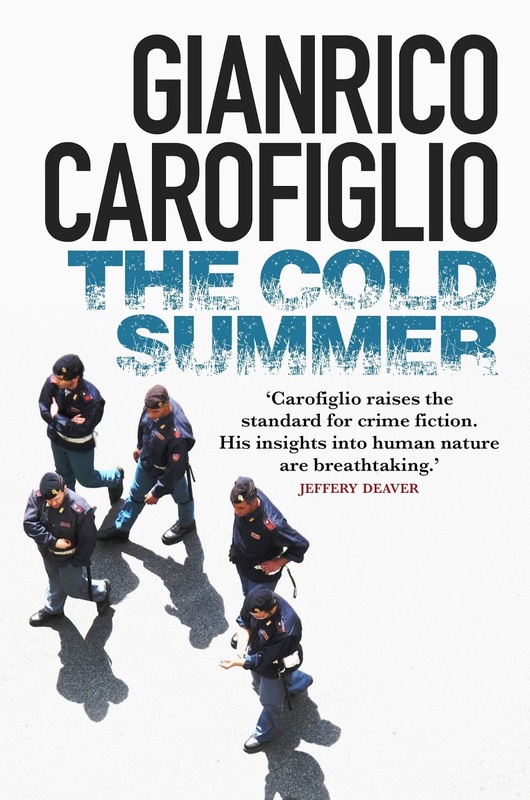 Finally a mix of random and purposeful events (Carofiglio has said that: “… real world investigations and trials are much more ruled by chance than in films and novels.”) move this story to an eventual darker turn and protagonist. Strongly recommended. I look forward to more.